IBM has recently announced to launch a global blockchain network for cross-border payments that will use both stable coin backed by U.S. dollars and cryptocurrency to make near real-time cross border financial transactions. 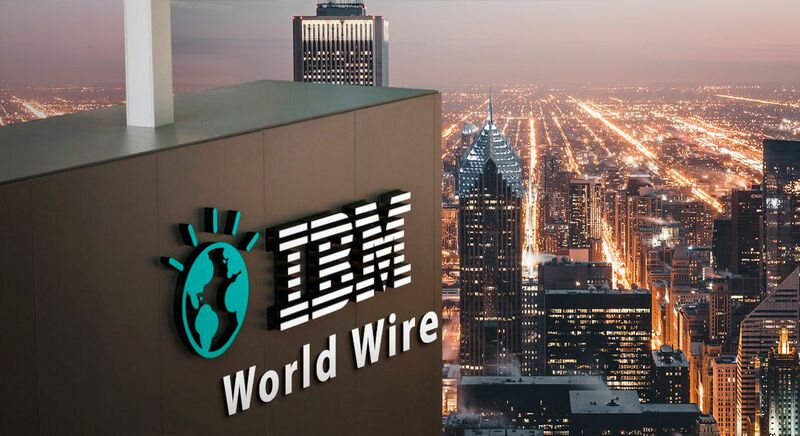 IBM Blockchain World Wire, will be a real-time global payments network for regulated financial institutions, is officially accessible in a growing number of markets. It is developed and Designed to improvise and fast track foreign exchange, cross border payments and remittances, World Wire is the first blockchain network of its kind to integrate payment messaging, clearing and settlement on a single unified network, while allowing participants to dynamically choose from a variety of digital assets for settlement on its platform. IBM World Wire has enabled payment locations in 72 countries, with 47 currencies and 44 banking endpoints. Local regulations will continue to guide activation, and IBM is actively growing the network with additional financial institutions across the world. World Wire will facilitate a more simpler and transparent model for cross border payments using the Stellar protocol that makes money transfers point-to-point in lieu of the complexities of conventional correspondent banking. It will eliminate the middle man and intermediaries and will help users to accelerate settlement time often in seconds by transmitting monetary value in the form of digital assets, commonly known as crypto currencies or “stable coins.” This new simple process will improve operational efficiency and liquidity management, streamlining payment reconciliation and reducing overall transaction costs for financial institutions. The blockchain already backs settlement using Stellar Lumens and a U.S. dollar stable coin through IBM’s previously-announced partnership with Stronghold. Pending regulatory approvals and other reviews, six international banks, including Banco Bradesco, Bank Busan, and Rizal Commercial Banking Corporation (RCBC), have signed letters of intent to issue their own stable coins on World Wire Blockchain network, adding Euro, Indonesian Rupiah, Philippine Peso, Korean Won and Brazilian Real stable coins to the network. IBM will continue to expand the ecosystem of settlement assets based on client demand and industry requirements.